While political observers frequently bemoan the lack of competitive U.S. House districts gerrymandering has wrought across the country, Minnesota is one state that currently boasts an embarrassment of purple-district riches. 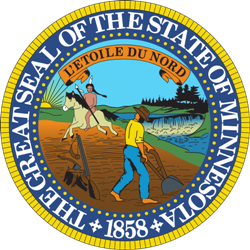 Last cycle, four of Minnesota’s eight congressional districts were decided by five points or less – the 1st (won by DFLer Tim Walz), 2nd (Republican Jason Lewis), 7th (DFLer Collin Peterson), and 8th (DFLer Rick Nolan). Walz, Lewis, and Nolan all won their races by less than two points with Walz and Nolan’s victory margins among the Top 12 narrowest in state history. The seemingly Democratic-friendly 2018 cycle is likely to put Peterson’s elusive seat out of reach once again for the GOP but is expected to pull the moderate 3rd CD – held by five-term Republican Erik Paulsen – back in play. Congressman Lewis is a vulnerable freshman whose district recently appeared on National Journal’s list of the 20 House seats most likely to flip in 2018 as did those seats held by Walz and Nolan whose decisions to run for higher office (governor and lieutenant governor respectively) made their districts much more vulnerable to GOP pick-ups. As a result, there is a plausible scenario that plays out in Minnesota this November whereby both Republicans (in the 1st or 8th) and Democrats in the (2nd or 3rd) each flip at least one seat. That would be an unusual feat in the annals of Minnesota electoral politics. Smart Politics reviewed the nearly 600 U.S. House elections conducted in Minnesota since statehood and found that more than one political party flipped a U.S. House seat in just five cycles. For starters, in more than three-dozen cycles no seats in the Gopher State changed partisan control. Additionally, when there is turnover, it is usually just one seat – occurring in 27 cycles – while more than one seat has flipped in just 16 cycles over the last 160 years and in just three cycles since 1950: in 1859, 1886, 1888, 1890, 1892, 1894, 1914, 1922, 1936, 1938, 1944, 1946, 1948, 1982, 1992, and 1994. [Note: This study excludes the 1932 and 1934 cycles during which the state went from 10 congressional districts (1930), to nine at-large seats (1932), and then to nine congressional districts (1934)]. That leaves just five cycles during which both parties flipped at least one seat. In 1890, Democrats picked up three seats (William Harries beat Mark Dunnell in the 1st, Osee Hall defeated Darwin Hall in the 3rd), and James Castle knocked off Samuel Snider in the 4th) while the Populists gained one (Kittel Halvorson beat Solomon Comstock in the 5th). In 1914, Republican Franklin Ellsworth flipped the open 2nd CD seat and Democrat Carl Van Dyke unseated GOPer Frederick Stevens in the 4th. [Note: In 1914, the state’s lone-at large seat from the 1912 election, held by Republican James Manahan, was eliminated and a 10th CD was created, won by Progressive Thomas Schall]. In 1946, the DFL flipped one seat (John Blatnik beat William Pittenger in the 8th) and the GOP flipped two (George MacKinnon won the open 3rd following the death of freshman William Gallagher and Edward Devitt unseated Frank Starkey in the 4th). In 1992, DFLer David Minge flipped the open 2nd and Republican Rod Grams knocked Gerry Sikorski out of the 6th district. In 1994, Republican Gil Gutknecht flipped the open 1st while DFLer Bill Luther did so in the open 6th. Which will certainly make Minnesota once again a state to watch on Election Day. Previous: Will There Be a 5th DFL-Endorsed Gubernatorial Primary Loser in 2018? Next: How Low Will Bruce Rauner Go? 2 Comments on "Rare GOP and DFL US House Seat Turnover Possible in Minnesota in 2018"
1. The Ds will more likely than not need to flip no fewer than 30 R-held seats nationally in order to seize control of the H of R, since several of their own (e.g. NH-1, PA-17, new iteration w/ M Cartwright, and the MN 1 and 8 seats, as mentioned) are highly susceptible to going the other way. 2. 1982: True, Arlen Erdahl did lose that cycle, but the seat he lost in did not “flip” to the DFL, for, by strict definition, the “Sixth” at the time was a freshly-minted, brand-new constituency (the number notwithstanding), shaped like a ‘mirror c’ encompassing the southern, eastern, and northern suburbs of the Twin Cities region – a reflection of an intrastate shift in population from the hinterland areas to the east-central metro region (which seems to be continuing unabated). RE: #2. Yes, with redistricting it is difficult to name what exactly flipped that cycle, though the GOP ultimately went from a 5-3 majority delegation advance to minus 3-5 minority.